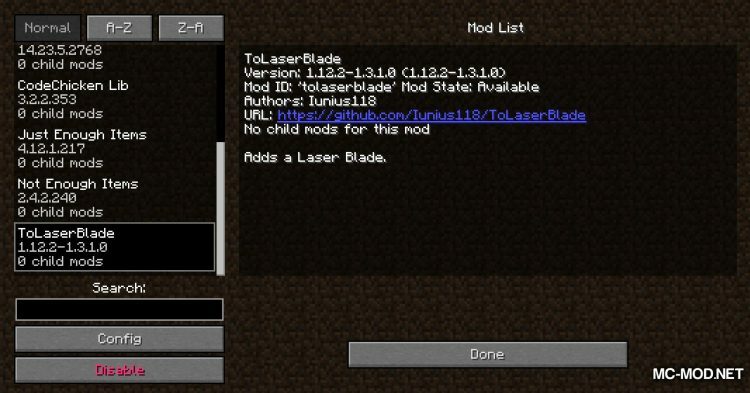 ToLaserBlade Mod 1.13.2/1.12.2. 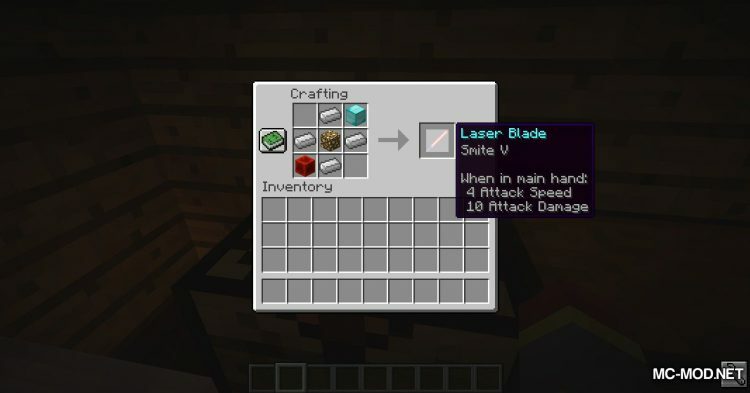 Do you ever want to hold a laser? 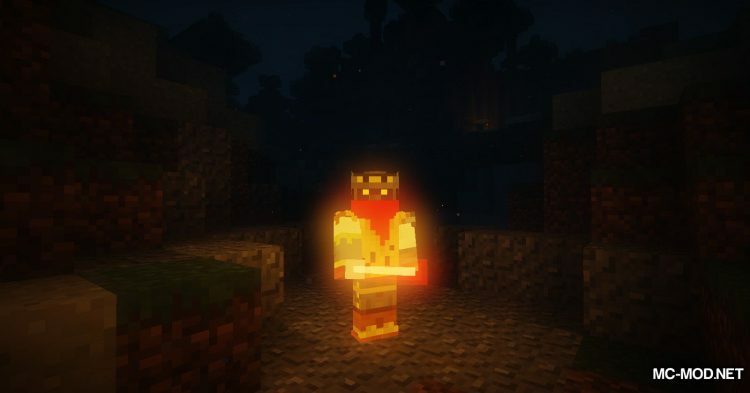 Don’t worry because ToLaserBlade will help you do just that. 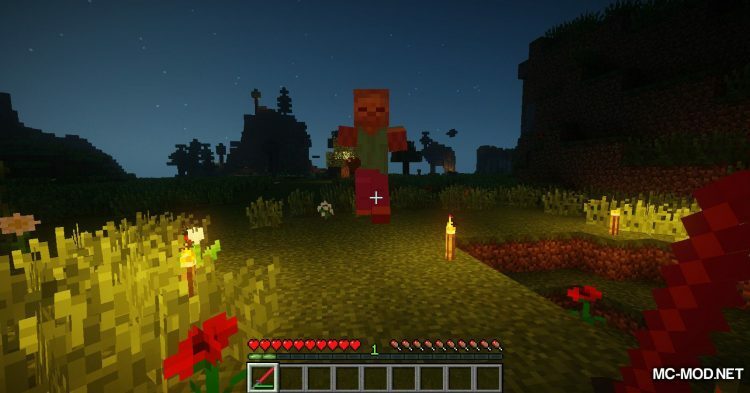 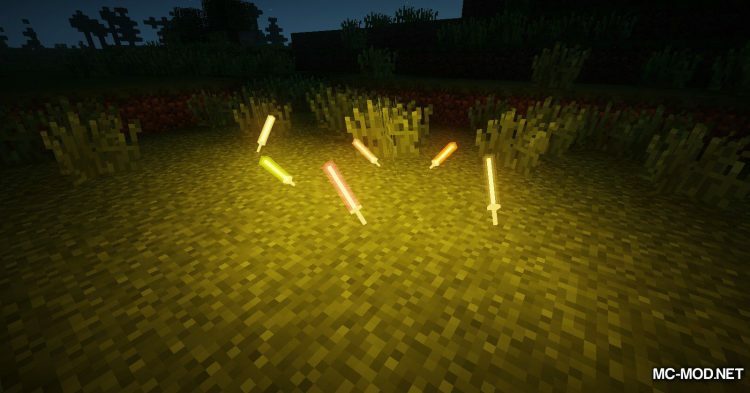 ToLaserBlade adds different laser swords to Minecraft. 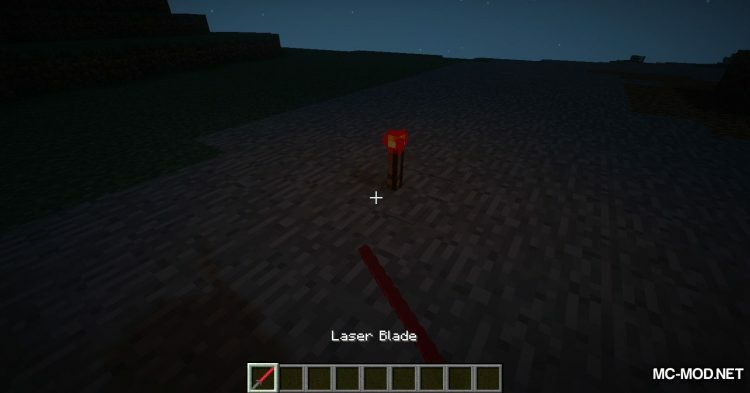 To begin, ToLaserBlade adds to Minecraft sword named Laser Blade. 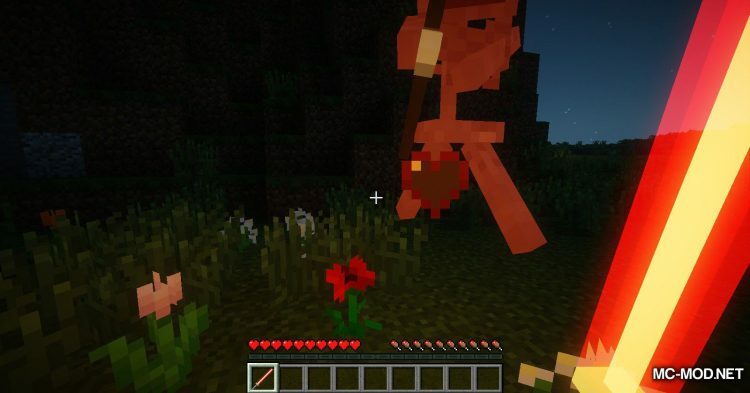 It is made of 1 stick and 2 redstone torch. 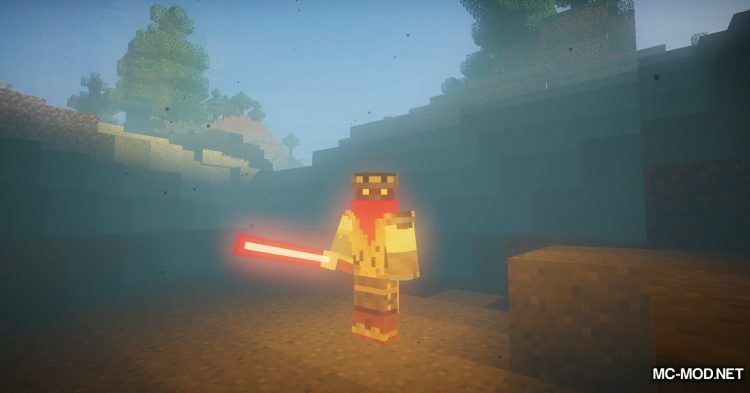 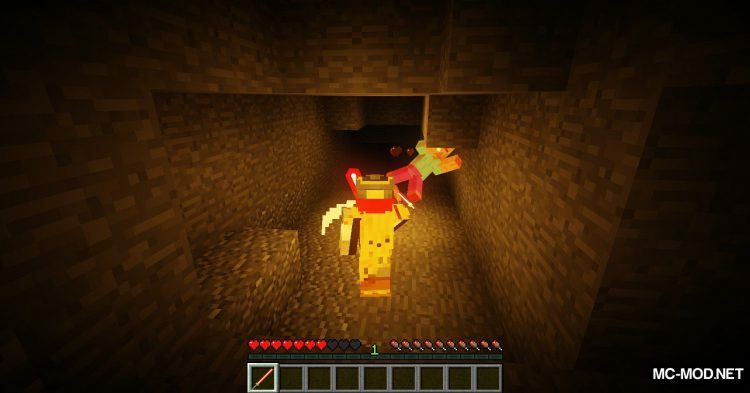 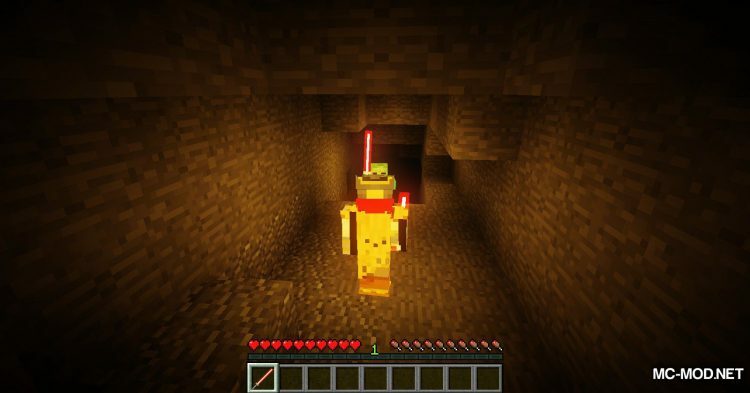 This sword is nothing special except that the right mouse will put down a redstone torch and the right mouse will again get the redstone torch. 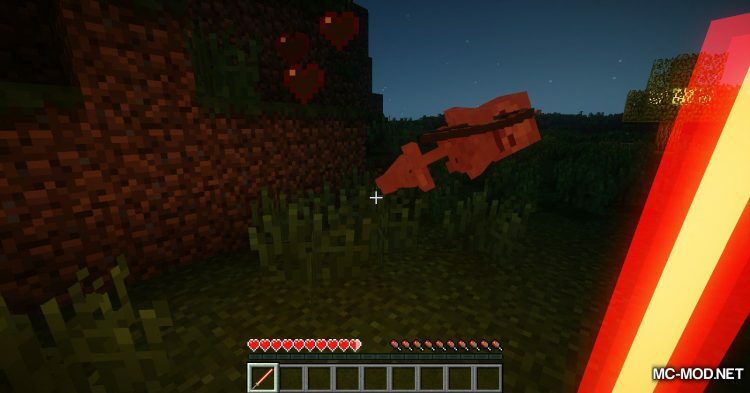 It has an stats of 5 Attack Damage and 2.8 Attack Speed. 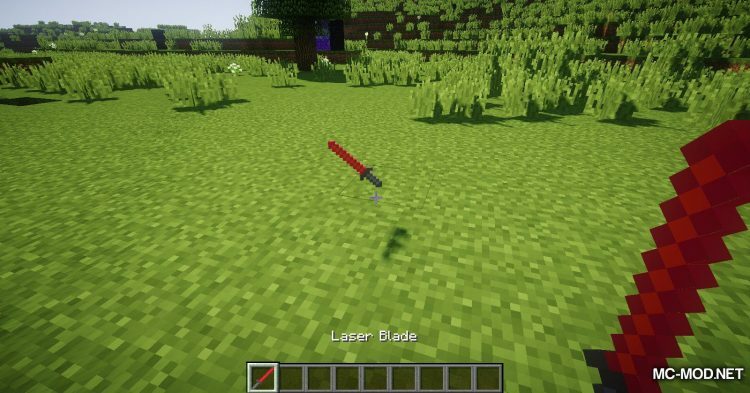 Next is the sword called Laser Blade but it is much more special! 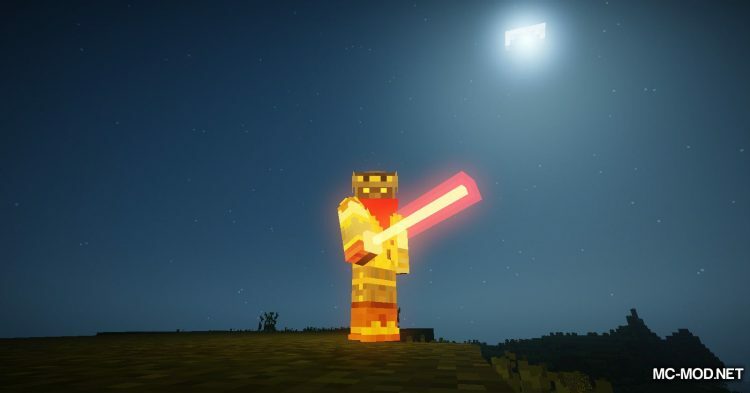 This sword glows! 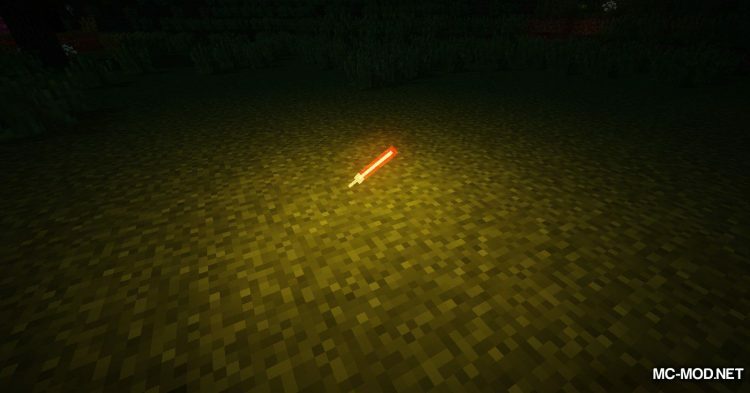 That’s right, it’s a real laser sword and will shine. 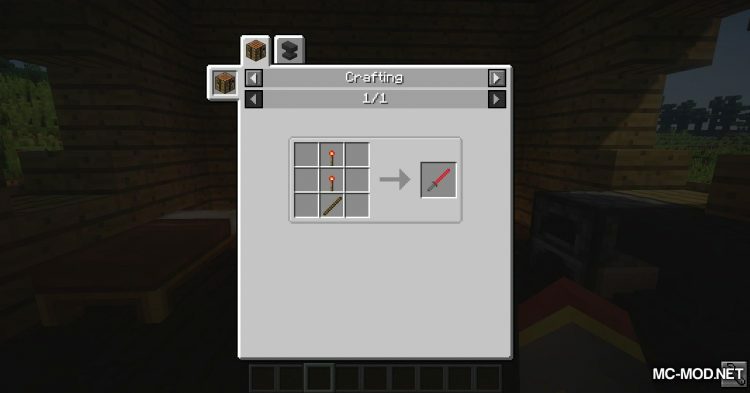 There are 3 different ways to make this sword. 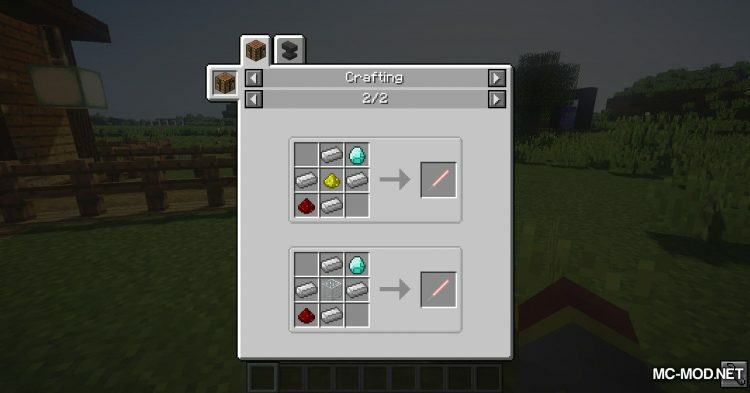 The first way is with 4 iron ingot, 1 diamond, 1 glowstone dust and 1 redstone. 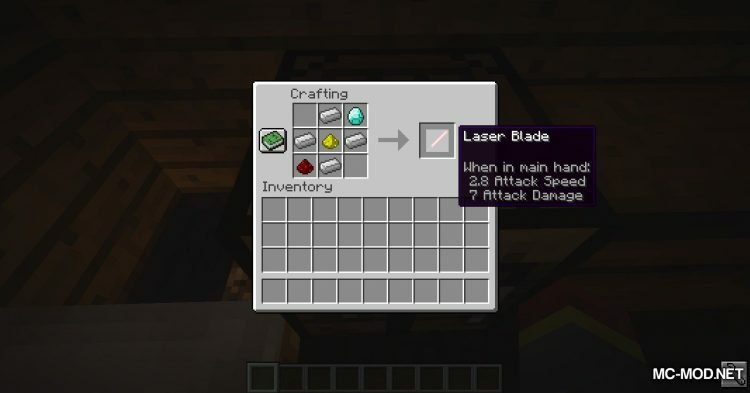 This will build a regular laser sword with 7 Attack Damage and 2.8 Attack Speed. The second way is with 4 iron ingot, 1 block of diamond, 1 glowstone and 1 redstone block. 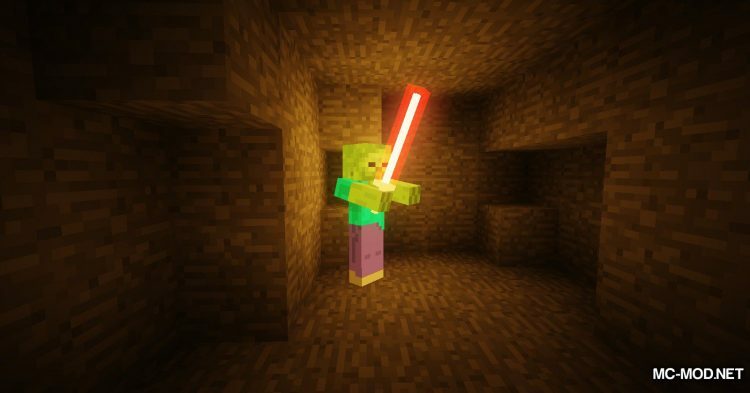 This is more expensive but it will instantly give you a laser sword with Smite V and 10 Attack Damage, 4 Attack Speed. 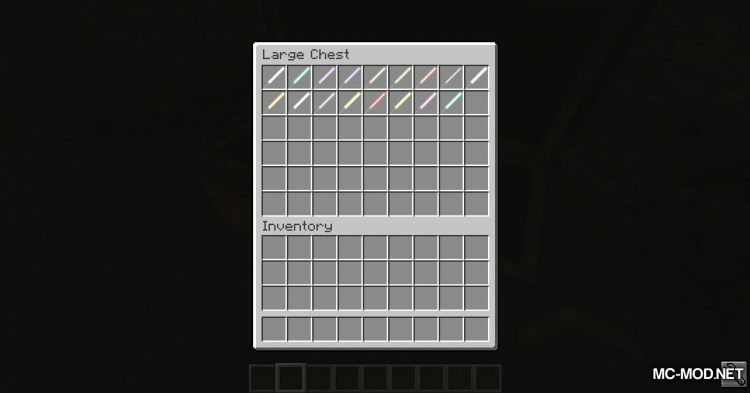 This third method is great because you can choose the color for your sword! 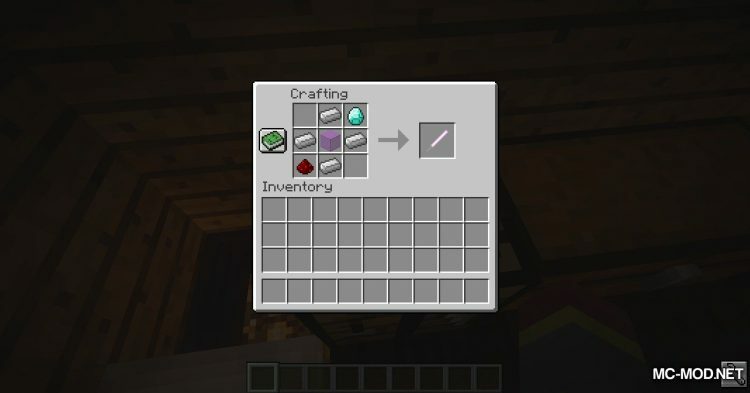 Only with 4 iron ingot, 1 diamond, 1 redstone and one glass with any color will give you the laser sword corresponding to the color of the glass!